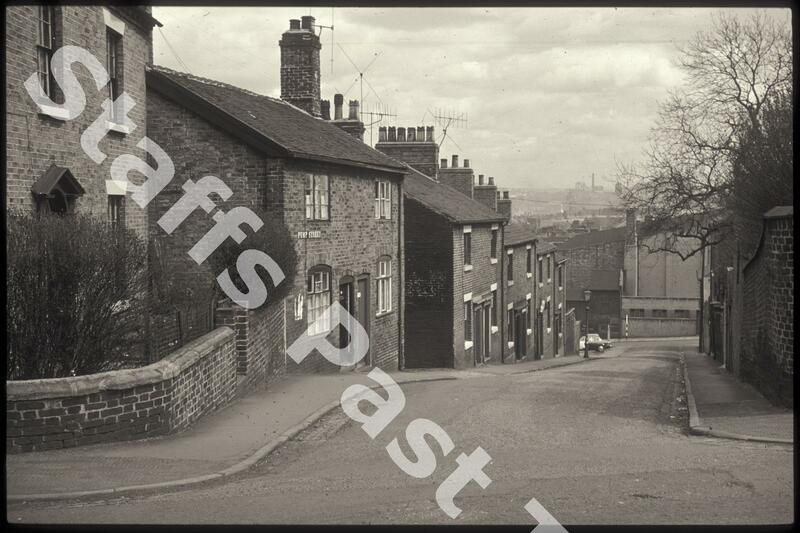 Description:This is a view south east from near the top of Pump Street at Honeywall. Epworth Street is at the bottom. The side of the large building at the bottom of Pump Street is the 2000 seat Essoldo Cinema, previously named the Danilo. In the far distance is the head gear of Fenton (Glebe) Colliery. 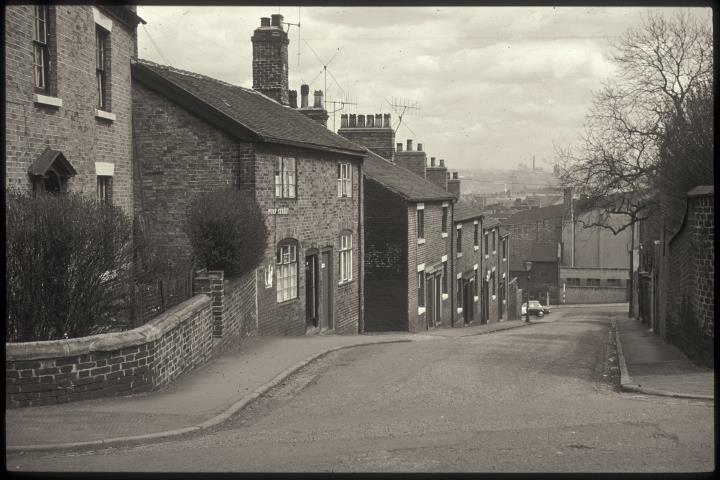 The terraced houses and cottages on the left have been demolished and replaced with Health Centre buildings and car parking space.